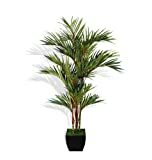 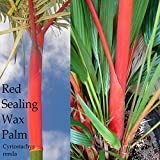 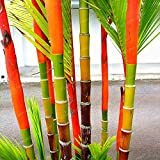 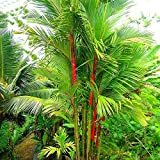 Lipstick palm growing tree palm of the genus Cyrtostachys also known as Cyrtostachys renda, Lipstick palm perennial evergreen used as ornamental plant can use also as edible, can grow in tropics climate and growing in hardiness zone 11a. 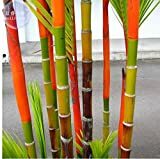 Trunk color is red like lipstick, the inner part is edible. 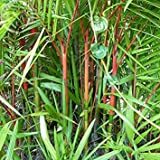 Leaves color green pinnate more than 2 m.
Flower color white small flowers grow on cluster on every branch can be dozens of flowers.